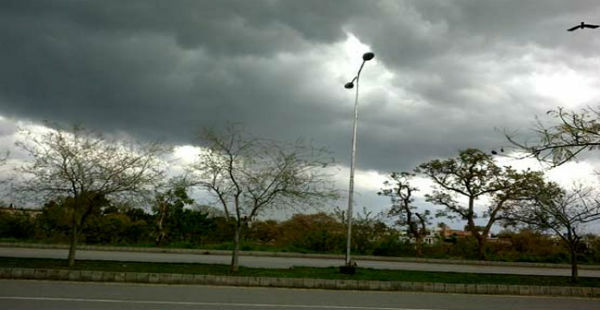 As a common phenomenon during winter season, winter rains have occurred over some places of Punjab, Haryana and West Rajasthan during last 24 hours. In fact, West Rajasthan has been witnessing light rain since last 48 hours. The reason for these rains can be attributed to the Western Disturbance present over higher latitudes along with its induced Cyclonic Circulation over western parts of Rajasthan. Further, as both the weather systems are moving in east north-east directions, cloud pattern will show a declining trend. As a result, rains will vacate all the northwestern plains after 12 hours and sky will become mainly clear. Talking about wind pattern, winds which were earlier blowing as easterly since last 48 hours, will now turn as north-westerly and thus will bring a change in temperature pattern too. As these winds are dry and cold in nature, hence minimums would fall by 1℃ to 2℃. Further, after 24 hours, weather will go completely dry with bright sunshine and light cool winds taking over the region. However, during early morning hours, shallow to moderate fog will mark its presence at many places over Punjab, Haryana and North Rajasthan. However, chances of fog over South Rajasthan are ruled out and it will experience comfortable and pleasant day conditions.